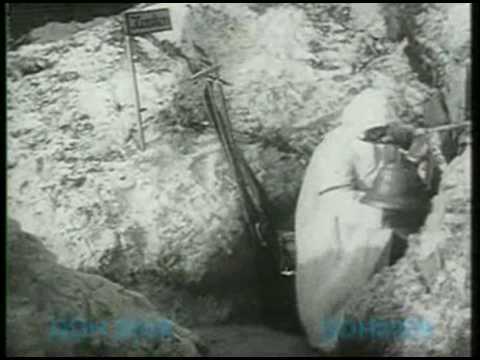 After a day of probing, the goal of which was to determine whether German troops would choose to withdraw or not from the first set of trenches, the offensive started on 7 August 1943 at 06:30 am (with a preliminary bombardment starting at 04:40 am) with a breakthrough towards Roslavl. Three armies (apparently under the control of Soviet Western Front) were committed to this offensive: the 5th Army (Soviet Union), the 10th Guards Army, and the 33rd Army. The attack quickly encountered heavy opposition and stalled. 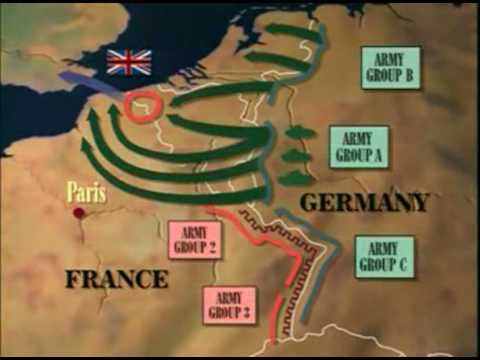 German troops attempted numerous counterattacks from their well-prepared defense positions, supported by tanks, assault guns, and the fire of heavy guns and mortars. As Konstantin Rokossovsky recalls, "we literally had to tear ourselves through German lines, one by one". On the first day, the Soviet troops advanced only 4 kilometers (2.5 mi), with all available troops (including artillery, communications men, and engineers) committed to battle. Despite violent Soviet attacks it quickly became obvious that the three armies would not be able to get through the German lines. Soviet commanders decided therefore to commit the 68th Army, kept in reserve, to battle. On the German side 3 additional divisions (2nd Panzer Division, 36th Infantry Division, and 56th Infantry Division) were sent to the front from the Oryol sector to try to stop the Soviet advance. The attack resumed the following day with another attempt at a simultaneous breakthrough taking place further north, towards Yartzevo. 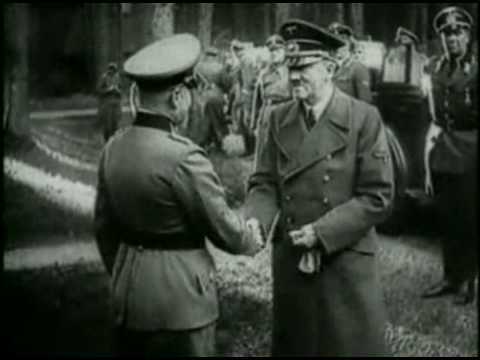 Both attacks were stopped in their tracks by heavy German resistance. In the following 5 days Soviet troops slowly made their way through German defenses, repelling heavy counterattacks and sustaining heavy losses. 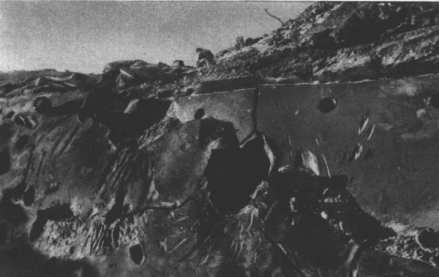 By feeding reserve troops to battle, the Red Army managed to advance to a depth varying from 15 to 25 kilometers (10–15 mi) by 11 August. Subsequent attacks by the armored and cavalry forces of the 6th Guards Cavalry Corps had no further effect and resulted in heavy casualties because of strong German defenses, leading to a stalemate. 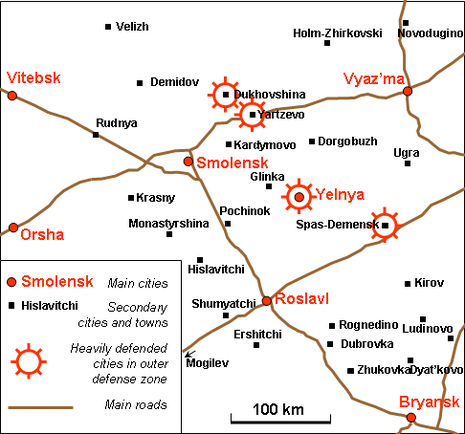 During World War II Smolensk was again chosen by history as a stage for one of its greater battles, the Battle of Smolensk. It is no surprise that the title of Hero City was bestowed on Smolensk after the war.